Recently, C and I were back in Taipei for a few days. During our trips we normally end up at the original Din Tai Fung branch along Yong Kang Street. 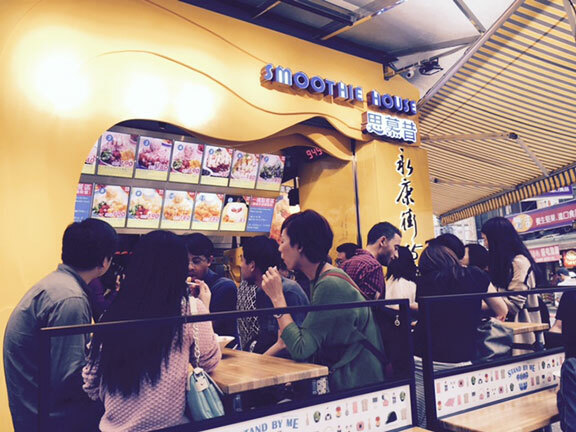 About a block away, we always see a long line of patrons patiently waiting to get their order of Mango Shaved Ice. We have always wanted to try this popular dessert concoction. However, we never get to do it since we always end up eating too much at DTF. This time, we made a conscious effort to order a little less so that we could finally try. Smothie House is located in the old premises where the famous Ice Monster used to stand. Both these places specialize in serving Mango Shaved Ice. (NTS190/P270). 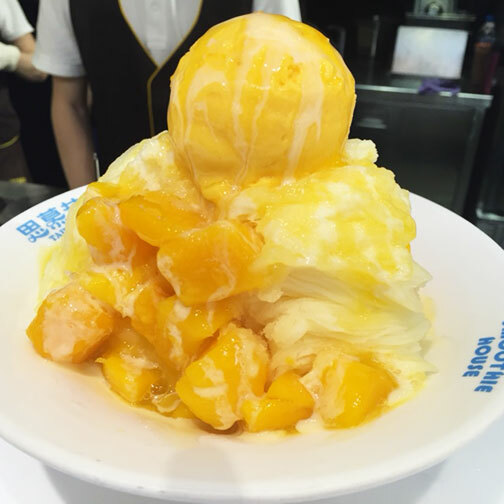 Local Fresh Mango pieces, Mango Ice Cream and some syrup placed on top of a bed of finely shaved snow ice. Honestly, I did not quite fancy the whole thing. Maybe because I am not a big fan of ice cream, plus I think our Philippine Mangoes are better tasting and I also found the whole thing too sweet. What impressed me though was how the way the ice was presented. The consistency was very fine, and the whole thing had a sheet like appearance. The amazing thing was that no matter how finely shaved; the ice still retained its firmness and its bite. Even if I was not too fond of the whole thing, I have no regrets trying it since I really wanted to know what the fuss is all about. I would probably have enjoyed the other items on offer, like Strawberry Shaved Ice or Mixed fruit Shaved Ice. No matter, chances are still aplenty on our upcoming trips.